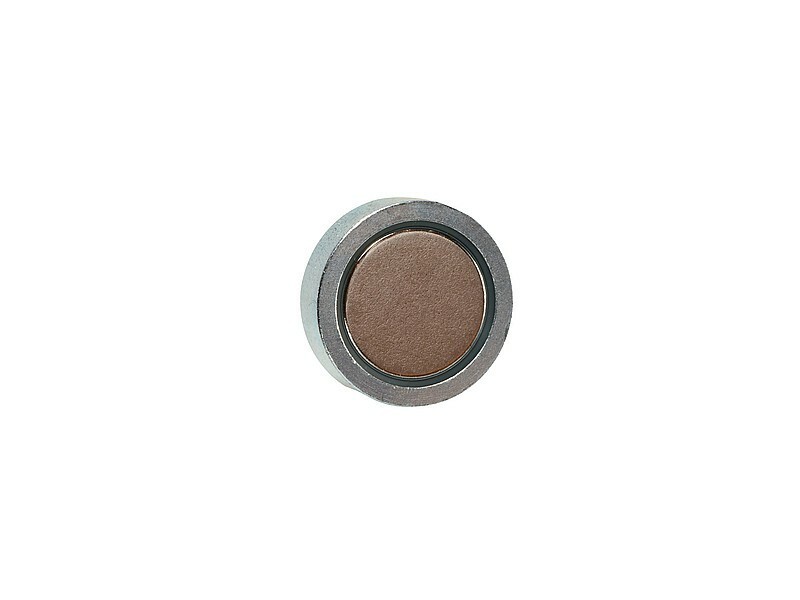 Galvanized body, neodymium magnetic core, anisotropic, working temperature max. +80°C. 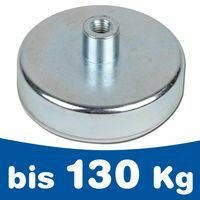 The holding force is determined at room temperature (20°C) on a polished plate made of mild steel with a thickness of 10 mm by pulling the magnet vertically from the surface (1 kg ≈ 10 N). A deviation of -10% in the stated values is possible in exceptional cases. In general, the value will be exceeded. 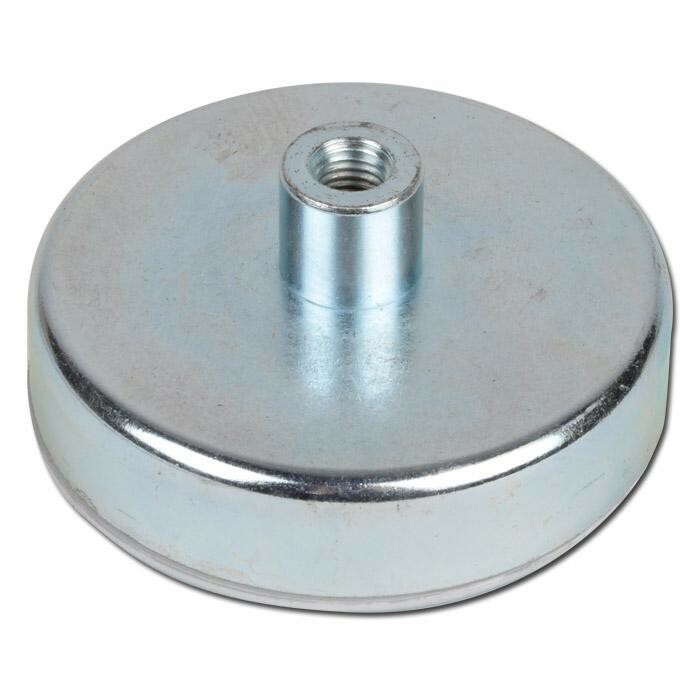 Pot magnets with neodymium magnetic core have excellent holding force thanks to use of anisotropic neodymium (NdFeB) magnets. 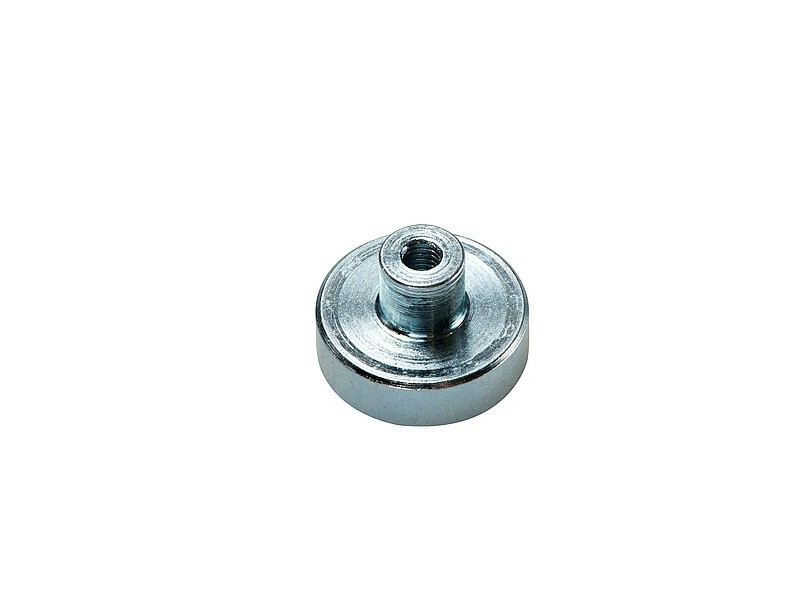 The maximum working temperature of these types is up to +80°C, steel body is galvanized. 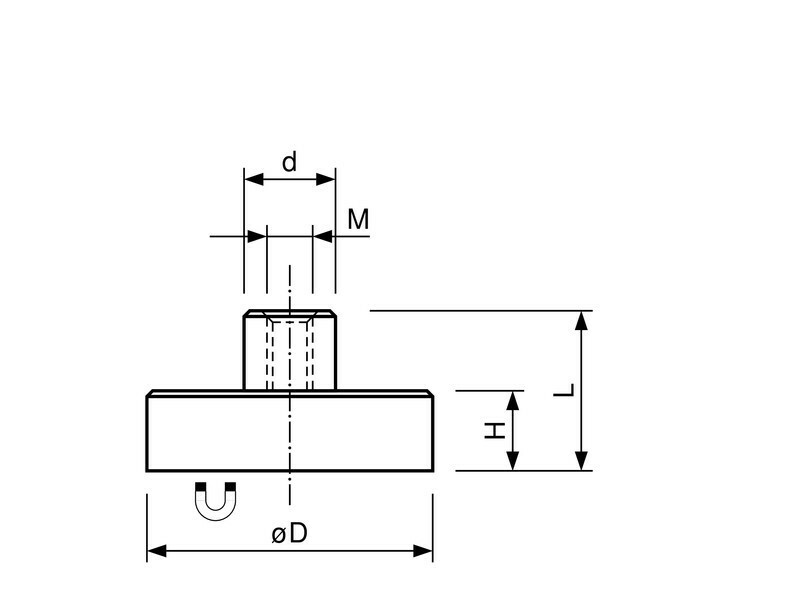 These types are used in applications where high holding force and small dimesions are required. Magnets aren't toys and not intended for children under 14 years of age. 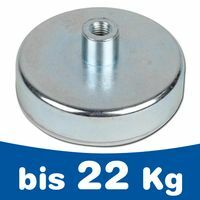 Small magnets represent danger of suffication if swallowed!